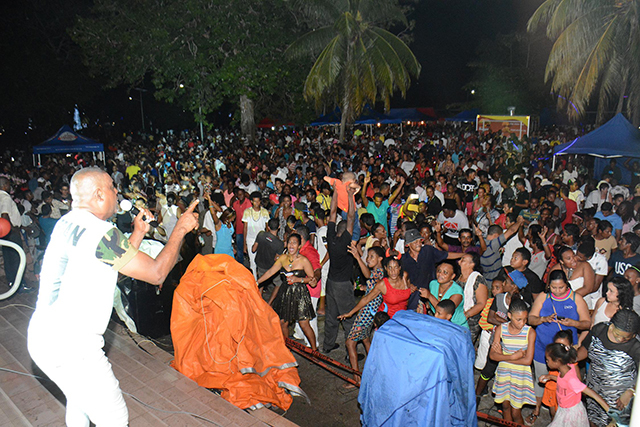 (Seychelles News Agency) - Hundreds of people in Seychelles took to the streets of Victoria, the island’s capital, on Saturday to bid farewell to 2016 and usher in the New Year. Residents and tourists mingled together in the streets to sing along to popular local New Year songs. 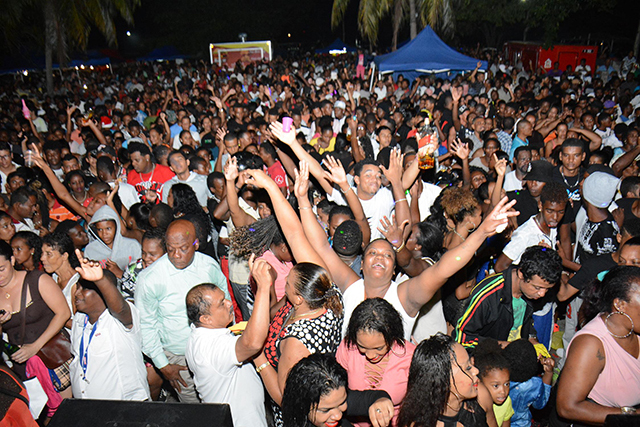 The crowd danced the night away with some of their favourite artists and renowned local bands -- ‘Tanmi’ and ‘Casamba’. 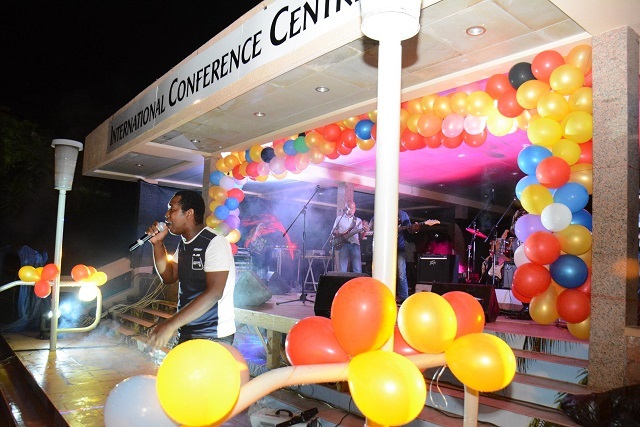 It was a night filled with colours and light and this time around organisers ensured that locals and residents had enough reasons to come down and party. 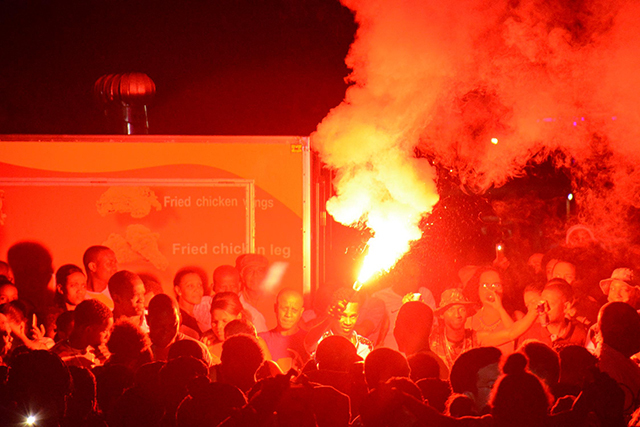 The street party was held along Latanier Road, leading to the island’s new port. 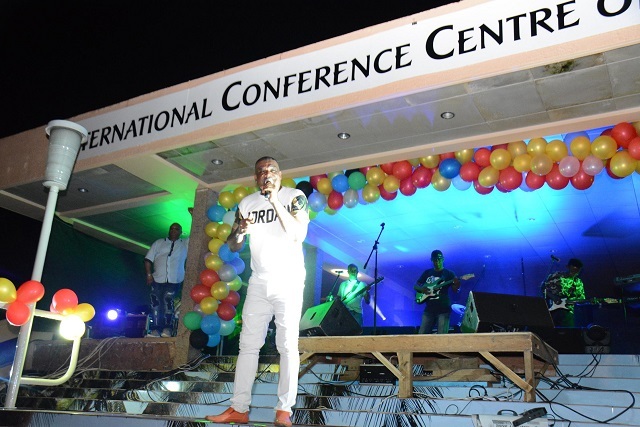 One of the organisers, Joseph Sinon, said the event once again attracted a large crowd who partied well into the morning. “It’s been a hectic year for most and we wanted to give them a chance to relax and unwind in a fun atmosphere,” said Sinon. 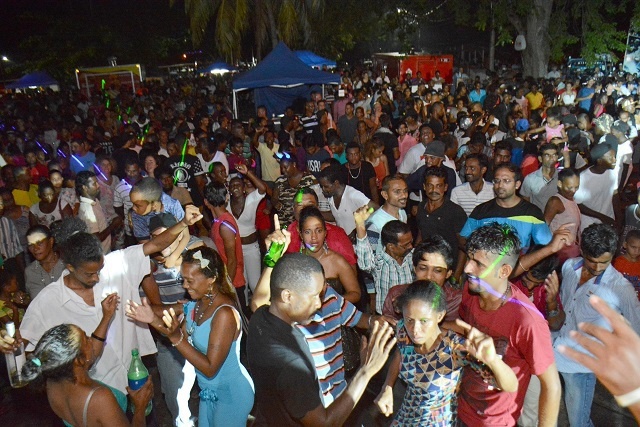 Many Seychellois though still preferred to welcome the New Year in the company of closed family members at special parties and dinners while others gathered in various parishes across the island for mass. New Year is also the time not only to look at the achievements made but focus on new resolutions. SNA spoke to some residents who said they were happy with how 2016 has unfolded for them. Ned Azemia, 18, who competed at this year’s Olympic Games in Brazil, said 2016 has been good both in sports and in his studies. Azemia, who set a new national record in the men’s 400 metres hurdles at the Games with 50.74 seconds, said he has achieved his goals and is now looking forward to a more prosperous 2017. “I am very satisfied with 2016 as I did not expect to be selected for the Olympic Games, and when I went there I performed so well, so I’m very proud of myself and what I’ve accomplished during the year,” Azemia said. The young athlete, who has also completed his studies at the Seychelles Institute of Technology, said he had been offered scholarships from a number of international institutions where he would be able to continue with his athletics. “I want to become a professional athlete so now that I have completed my studies I’m going to work hard towards that goal in 2017”, said Azemia. For her part, 20-year-old singer Angie said 2016 had been fruitful in all facets of her life. Angie won ‘Les Voix De l’OceanIndien’ for Seychelles in 2016 and said winning Best New Artist in 2015 opened up a lot of avenues for her this last year. 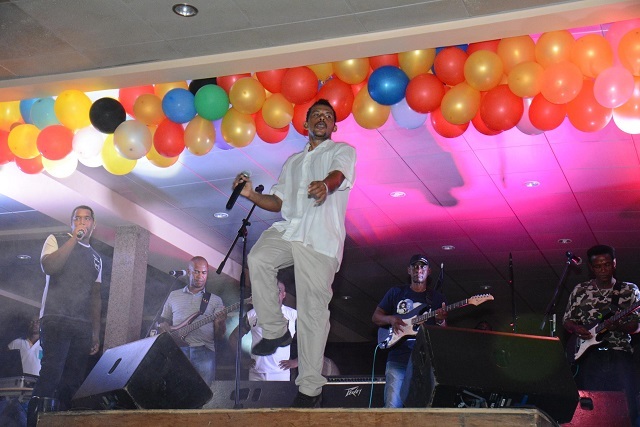 “I did a lot of live podiums around the island, performed in clubs, at official ceremonies, in open-air concerts and at lavish parties. So my on-stage confidence got an enormous boost in 2016,” said Angie. The young artist, who has also captured the hearts of fans in neighbouring Reunion island with her track ‘Satisfaksyon,’ said she hopes to record an album in 2017 and work on some collaborations with two regional artists. However, she said she will be doing music part-time as she hopes to dedicate more time to her studies. “My top priority will be to focus on my university studies. I am doing law, and it requires a lot of dedication and time. So music will be a side thing,” she told SNA. Seychelles’ beauty queen Christine Barbier said she achieved the biggest goal ever by winning the island’s beauty contest and to later compete internationally alongside 120 girls in the USA in November. “Being Miss Seychelles means I was involved with a number of charity event. I enjoyed working with children and meeting new people so 2016 was definitely the best year for me, and I’m so proud of myself”, said Barbier. Barbier, who will relinquish the crown early next year, said 2017 will be dedicated to furthering her studies.